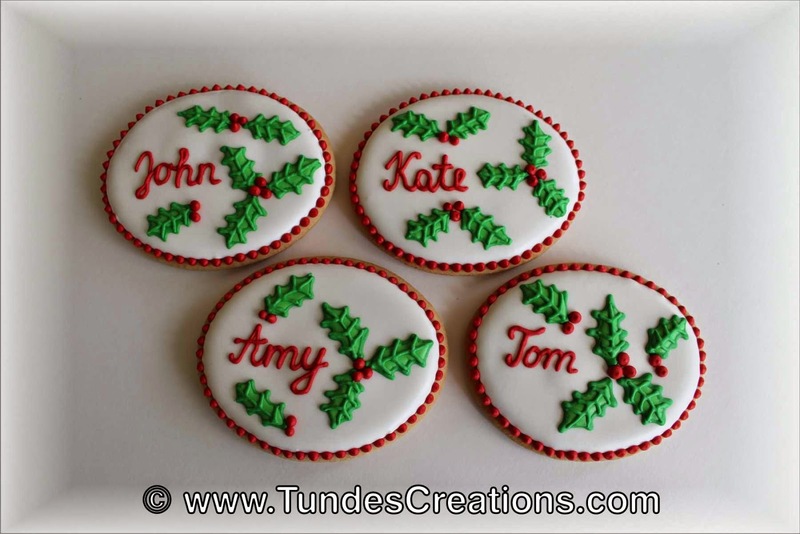 Today I would like to share a few ideas about how to decorate your Christmas table with gingerbread. 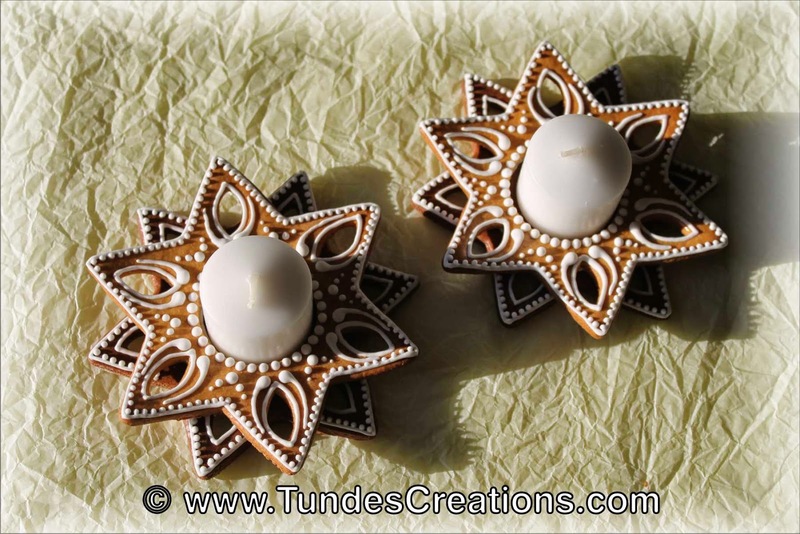 This first picture is a white centerpiece made of bells and stars. 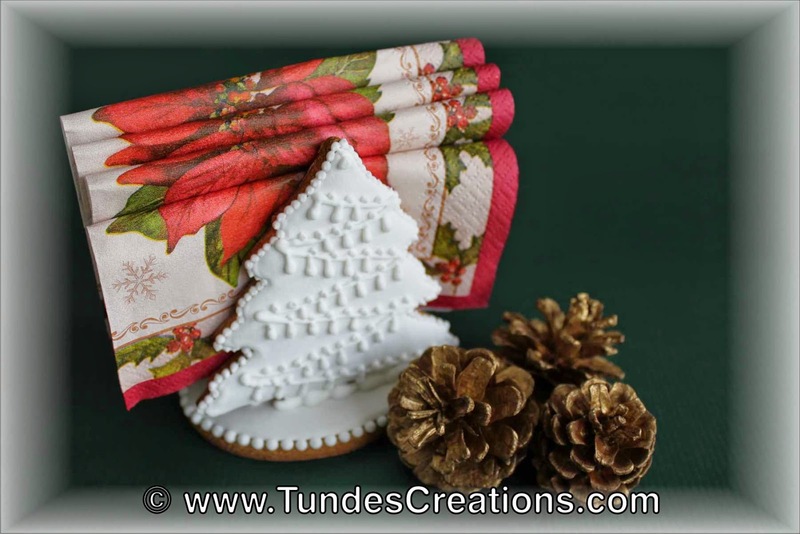 This napkin holder is made of two Christmas trees and an oval. There is also a rectangle piece inside to help the assembly. 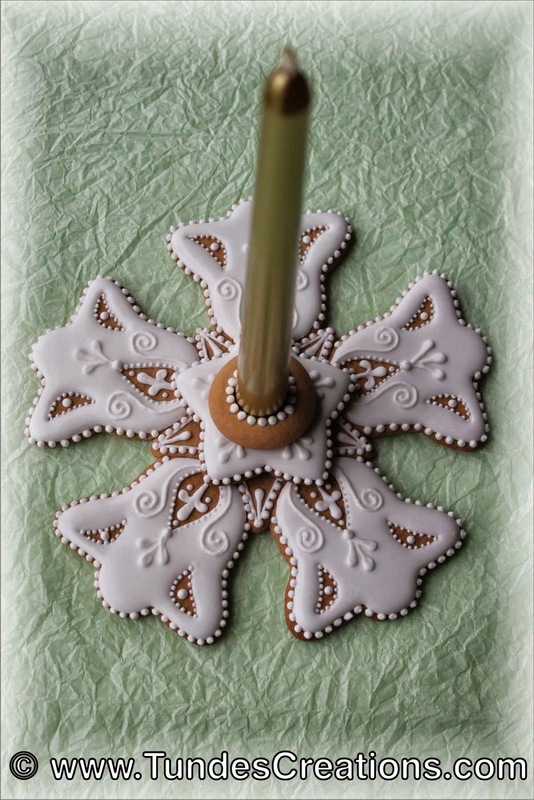 Step by step instructions for this project (and many more) are available in my Gingerbread Christmas Wonderland book. 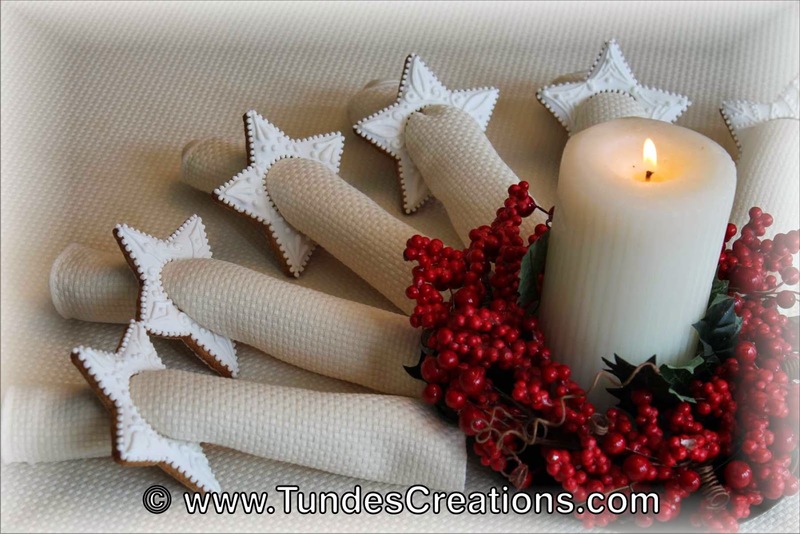 This set of white napkin rings is very easy to make and nicely complements the white decoration. 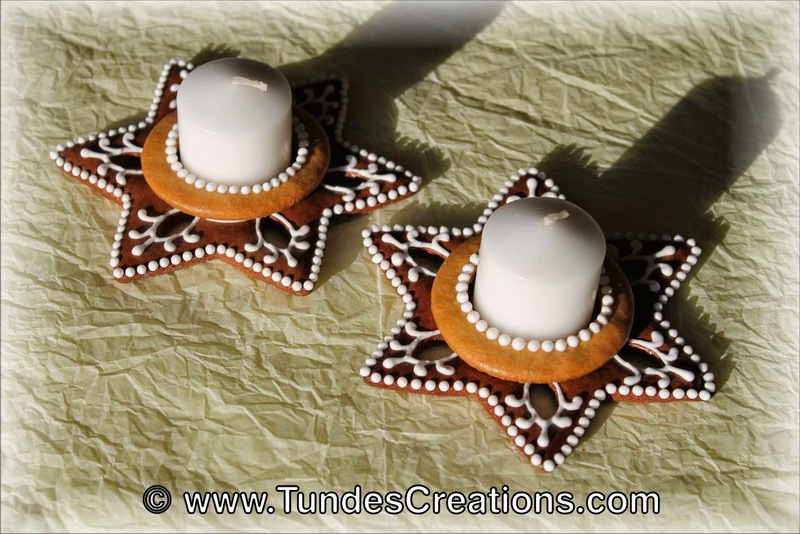 The first piece of the holy set is a simple centerpiece. 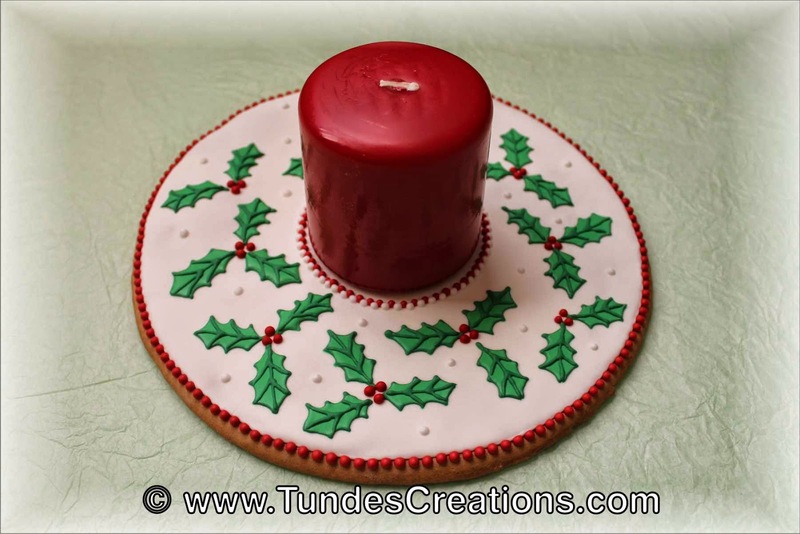 Just a big circle cookie with a big, fat candle. And a napkin holder with the same holy pattern. Finally some matching place cards. 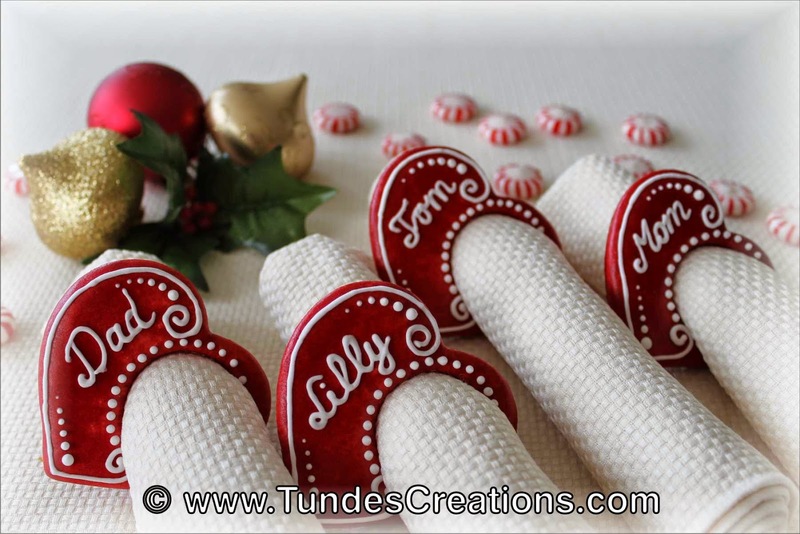 You can also combine the napkin ring with the place card. 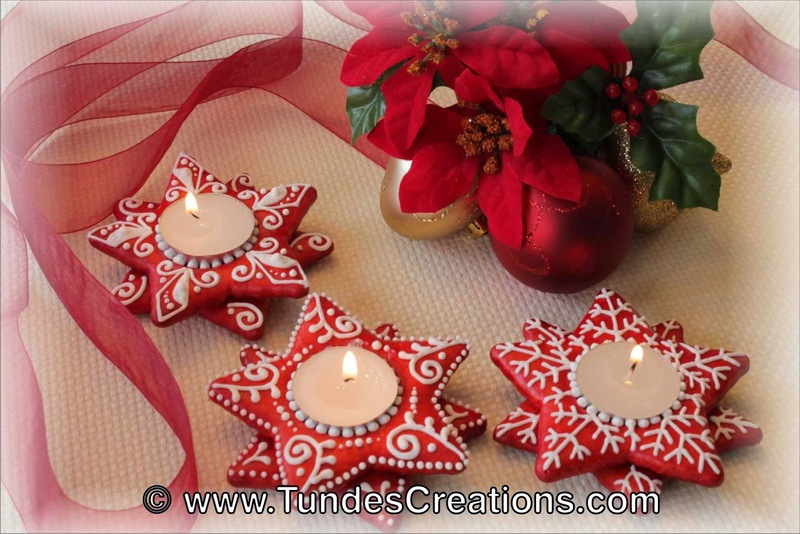 Some simple red and white candle holders. 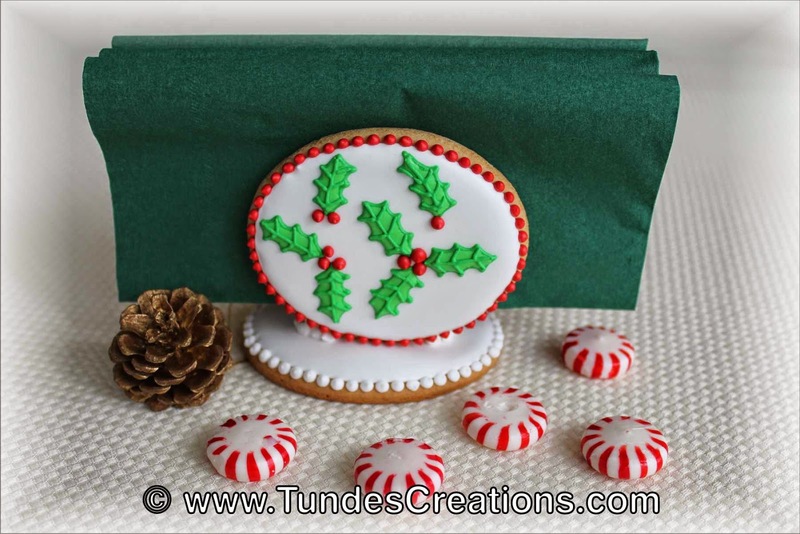 All natural - chocolate gingerbread and regular gingerbread with white icing. 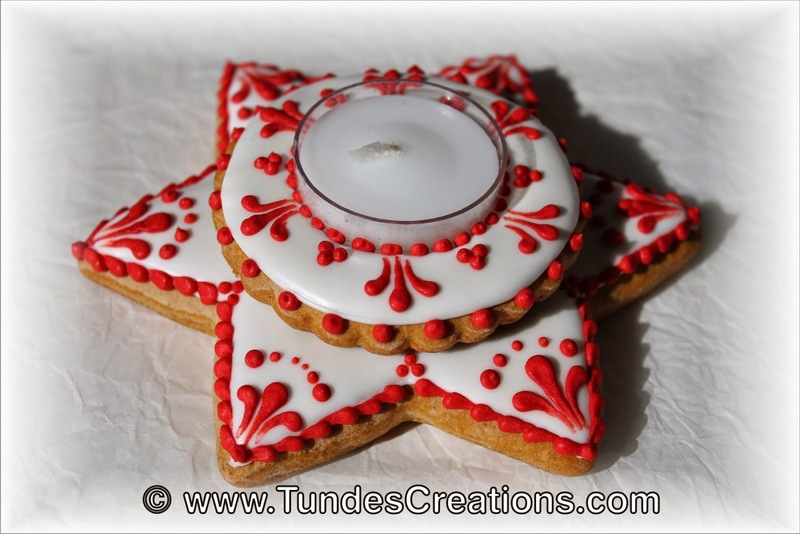 Red and white candle holder: powerful and elegant. 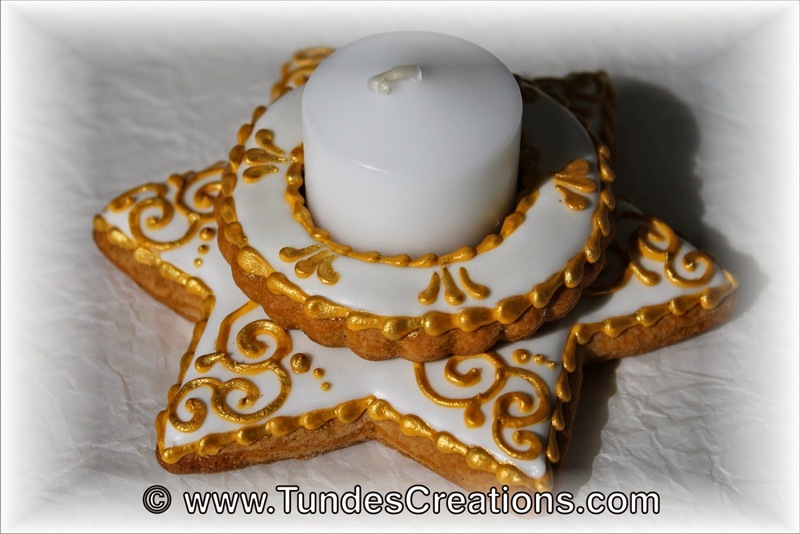 And finally the festive white and gold combination.